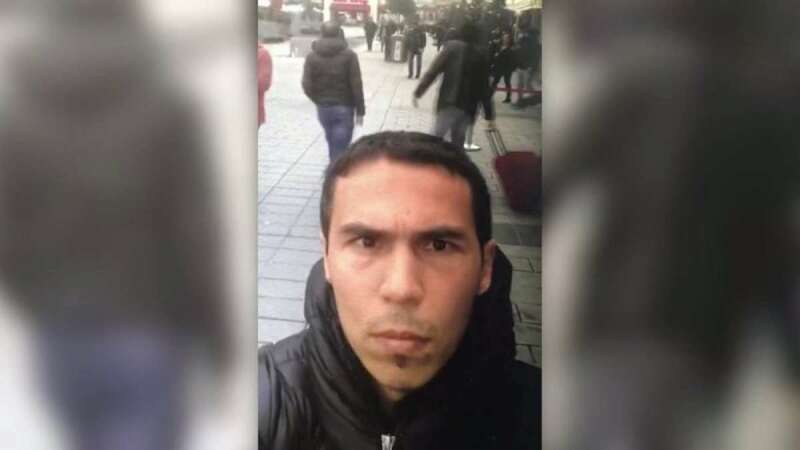 Istanbul : The man suspected of fatally shooting 39 people in a New Year's Eve attack on an Istanbul nightclub was arrested Monday, media reports said. The suspect, identified as Abdulkadir Masharipov, was apprehended in Istanbul in the company of his 4-year-old son, Hürriyet newspaper said. Local television reported that police found Masharipov in the home of a friend from Kyrgyzstan and Turkey's Anadolu news agency reported that three women and a Kyrgyz man were also detained. The network broadcast images of plainclothes police hustling the handcuffed Masharipov into a car, as well as a still photograph of the suspect with a battered face and blood on his shirt, Efe news reported. Accounts in the Turkish media last week indicated that Masharipov is an Uzbek, though officials suggested he may be a Muslim Uyghur from China who made his way to Turkey via Kyrgyzstan. Masharipov was taken to the Vatan police station even as police mounted additional raids targeting other members of the same terrorist network. Banned militant outfit Islamic State (IS) claimed responsibility for the massacre at the Reina club.